"With glimpses of potential fun and adventure, this character proves he needs Spidey to make an impact"
Since the 2002 release of Spider-Man, the superhero genre began to permeate cinemas and studios have been mining the depths of graphic novels each year for new material. The Dark Knight trilogy made room for superhero films to attain critical acclaim and proved that these films could appeal to a wide range of audiences around the world. Nothing has shown this more than the creation and success of the Marvel Cinematic Universe (MCU) at Disney and one property that has been a sticking point for Sony and House of Mouse is Spider-Man. Even though he is now officially part of the Avengers franchise, there are still story-rich elements of the web slinger's past that remain in the hands of Sony Pictures, specifically one of his arch-enemies, Venom. 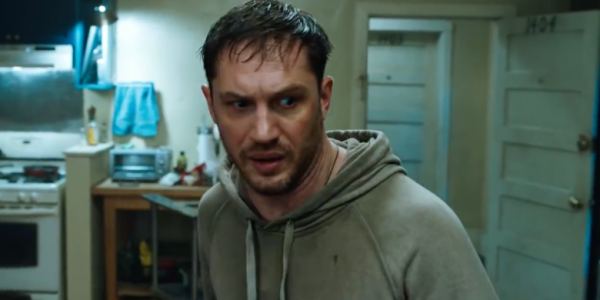 To be clear from the beginning, this symbiotic alien is not a superhero, but his alter-ego, Eddie Brock (Tom Hardy) does provide this powerful, parasitic creature with a moral compass to do more than destroy humanity. Brought to earth by the privatized Life Foundation space program to be studied by the brilliant founder and scientist, Carlton Drake (Riz Ahmed). The symbiote manages to merge with Brock who is an out of work reporter trying to expose Drake and his evil intentions for the eventual evolution of mankind. Venom provides the morally ambiguous newsman with superhuman strength and abilities, but even with this new found power he becomes uncomfortable with how the alien controls him. Eddie must negotiate with the powerful creature for the benefit of mankind and succumb to some of the questionable aspects of the alien’s character such as having a taste for human flesh. Even with all of his abilities, the vicious being is left with the reality that he needs Brock as much, if not more, to survive on Earth. Leaving this odd pairing with the inevitable realization that they need to work together to combat the evil plans of Drake and a new alien threat, Carnage. The big question that sits over this production is the purpose of making this film. Any Marvel fan would acknowledge that Venom is far from being an appealing character and is more villain than hero. The whole thing feels like a desperate attempt by Sony to hold onto some element of this comic book brand. Even with some great chase scenes and containing a few comedic elements, director Ruben Fleischer seems to suffer from certain limitations. What seems obvious is that this character is meant for more mature content and a MA15 or R rating, but in an attempt to get closer to the M or PG-13 category, the editing and storyline seem to suffer sudden and unnecessary jumps. The production team may have been better suited to be given the freedom to make a more mature film and to include more comedy to balance out the violent elements. Reminiscent of the short-lived Amazing Spider-Man franchise, it contains a strong cast, but lacks the magic of the original Spider-Man films and cannot be compared to the weakest installments from the MCU. The writing is pedestrian and the heavy reliance on special effects make this story a mere want-to-be franchise as opposed to being a real contender. To hand acting talent like Tom Hardy and Michelle Williams this script could be deemed as a mishandling of the art, but it may have been their attempt to get in on a Marvel franchise or an excuse to fire their agent. All that being said, this film proves that Venom is a great villain, but he needs Spidey to show his true on-screen potential.